• In fairness to new Vikings fullback Jerome Felton, who among us hasn't been arrested while in the drive-thru line at McDonald's? • Craziest sentence I've read in a long time: "Police said that Carter then cut off pieces of his skin and intestines and threw them at officers." And the rest of the story is similarly insane. • Nerds need to get their head out of a spreadsheet and watch a game read a dictionary. 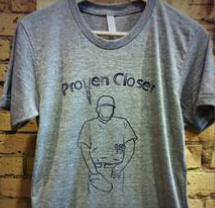 • Up is down, black is white, and the Minnesota Twins are drafting power arms. • Sure, going to 6,000 different Chinese restaurants is impressive, but what about me going to the same Chinese restaurant 6,000 different times? • Renewing the Official Fantasy Girl of AG.com candidacy of Kelly Brook is like riding a bike. • My weekly appearance on KFAN with Paul Allen involved some NBA chatter along with talk about the Twins' turnaround, what to make of Francisco Liriano, and how batting average on balls in play factors into analysis of hitters. You can listen to the entire appearance here. • Jeff Manship may not seem like a particularly tough name to spell, but facts say otherwise. • My first thought after reading this story? Even that guy/chair had a live-in girlfriend. • Jamie Anne Royce's list of "things you should know before you date a writer" is funny/true. • People: Still the worst. • I'm willing to pitch in some of my salary if NBC makes a run at MLB broadcasting rights. And that was before he looked up the slot signing bonus amount for his pick: $1.55 million. • Rochester Century pitcher Mitch Brown was drafted 79th overall by the Indians after the Twins passed on the local right-hander at 32, 42, 63, and 72. Slot value for his pick: $640,000. • Why did the Twins choose Byron Buxton over Mark Appel? I'm glad you asked. • Some context for Buxton negotiations: No. 1 pick Carlos Correa has already signed for $4.8 million and No. 5 pick Kyle Zimmer signed for $3 million. • This is like one of those "pick any three people to have dinner with" questions, come to life. • Actually, in reading Maxim's oral history of The Wire it might be more interesting to see what they did after dinner. "We smoked a lot of good weed, did a lot of strip clubs. A lot of that." • On a related note, Anthony Bourdain is leaving the Travel Channel for CNN, which seems like an odd fit but probably won't matter as long as he sticks with the No Reservations tone. • Phillies manager Charlie Manuel is the new MC Skat Kat. • Terry Francona has ... well, let's just say remarkable self-esteem. And also a towel. • I've been saying that Cubs pitcher Jeff Samardzija looks like the doll from the Saw movies, so a Twitter follow found proof. • FX pairing Louis C.K. with Jim Jeffries is brilliant, assuming you like filthy, hilarious people. • Jamie Moyer quickly found a new home after being cut by the Rockies and the 49-year-old is now on the same team as J.C. Romero, Lew Ford, and Pat Neshek. • The fastest man in baseball is on pace for 160 steals. • David Brauer of MinnPost reports that the St. Paul Pioneer Press "is offering buyouts across all departments" in what is another sad development for the local journalism scene. • As someone who got good grades at the University of Minnesota despite frequently skipping classes, rarely doing any homework, and eventually dropping out this seems like old news. • Barry Zito is selling his $11.5 million house because he didn't like commuting to the ballpark. • Scott Aukerman, who runs the Earwolf podcast network and has a new television show on IFC that debuts tonight, got the New York Times profile treatment. 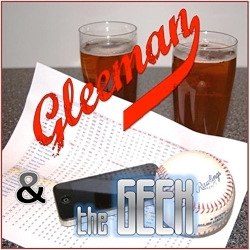 • We just passed 200,000 downloads for the Gleeman and The Geek podcast. To everyone who listens: Thank you so much ... and maybe leave an iTunes review? • Tiffany Simons is on vacation, so naturally I filled in on HBT Extra for yesterday and today. 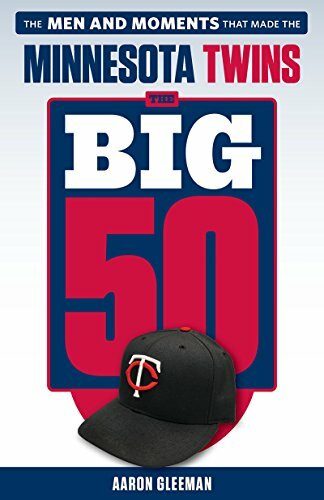 • Within his interesting Trevor Plouffe analysis, Parker Hageman of Twins Daily suggests my weight as the new "Mendoza Line." Of course, even Mario Mendoza could hit above .175. • According to Pew Research Center's study 15 percent of American adults with a computer use Twitter, which is nearly double the total from 18 months ago. I joined Twitter in mid-2009 and can't imagine life without it, as it's become essential for my job and time-wasting ability.